With a 15 week bloom time, Santa Marta Haze is the best genuine Haze variety that Seed Stockers has found so far. Genetics come from Amnesia Haze x Santa Marta (Columbian jungle Haze). Santa Marta Haze is a THC rich Haze with good yields, the hybridisation gives a very powerful high unlike any other Haze tested by Seed Stockers. Santa Marta Haze is a true sativa, she grows tall and stretches with thin leaves on the fingers and resin frosted buds. Plants reach a large size with XL harvests, and growers should note that this variety really requires 15 weeks (or more) to bloom fully. Outdoors, she only suits climates with long tropical summers and can reach 3-4 metres tall. The buds from Santa Marta Haze are incredibly strong, with a soaring psychedelic high that lasts for hours. 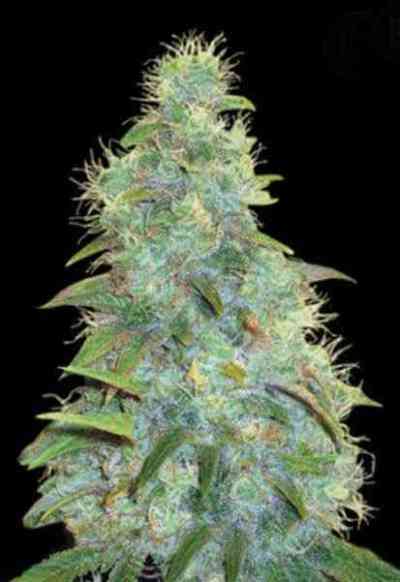 She is an easy variety to grow indoors or outdoors and rewards the grower with one of the most potent harvests possible.